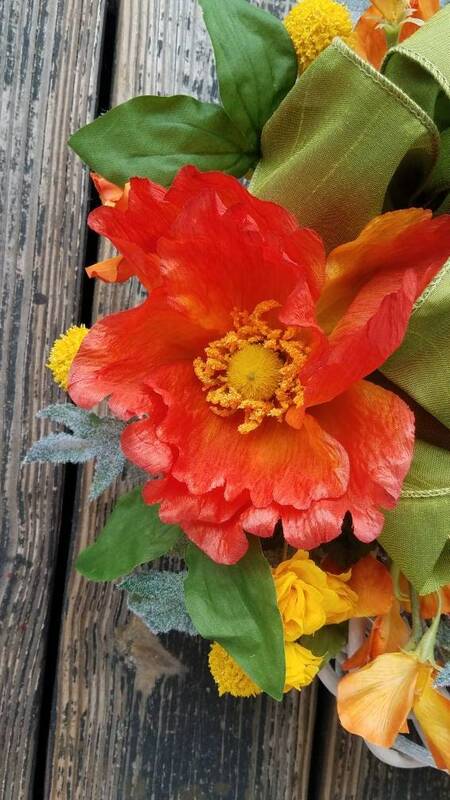 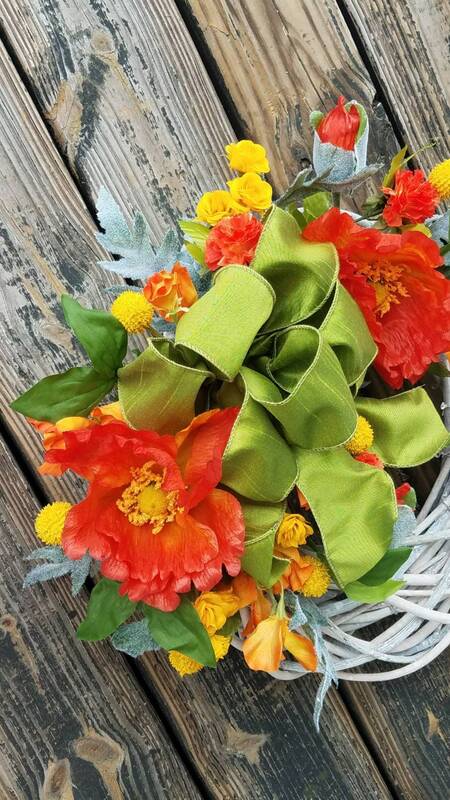 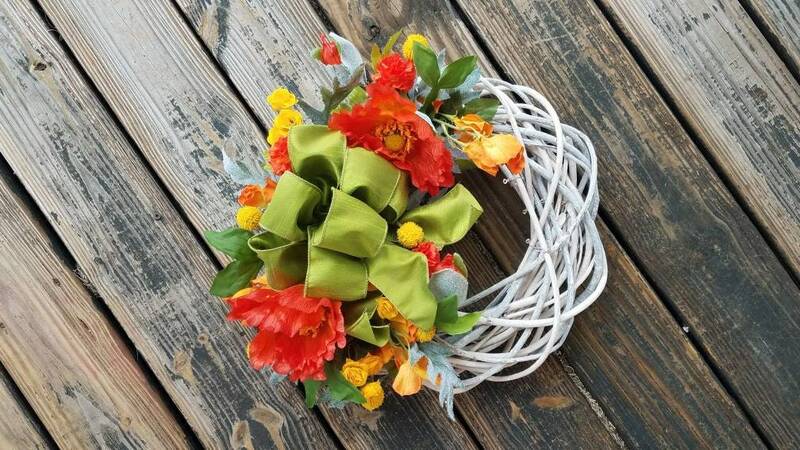 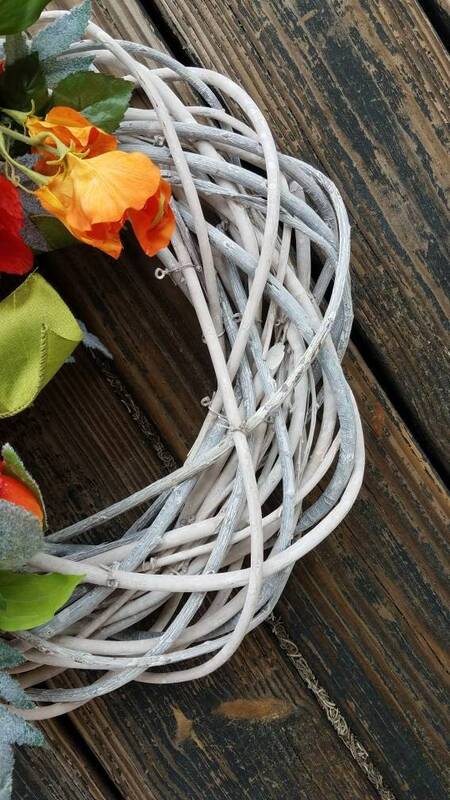 Add a splash color and whimsy to your home with this lovely orange poppy and willow wreath. 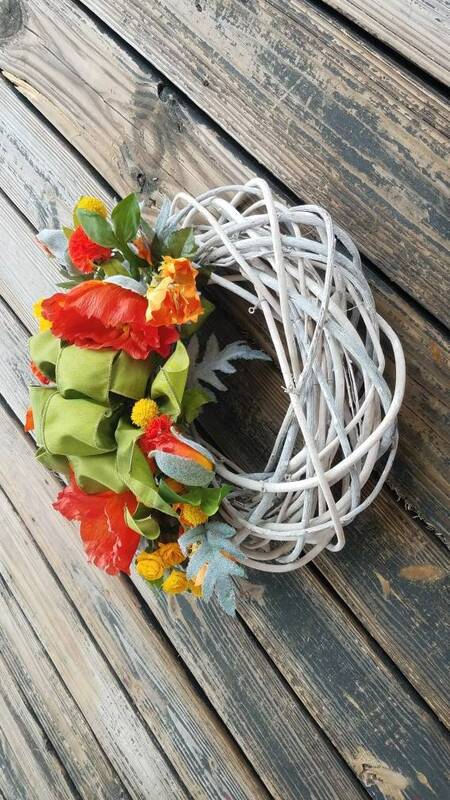 A crescent of over sized, flaming orange poppies with splashes of yellow highlights adorn a thick, whitewashed, willow wreath frame. 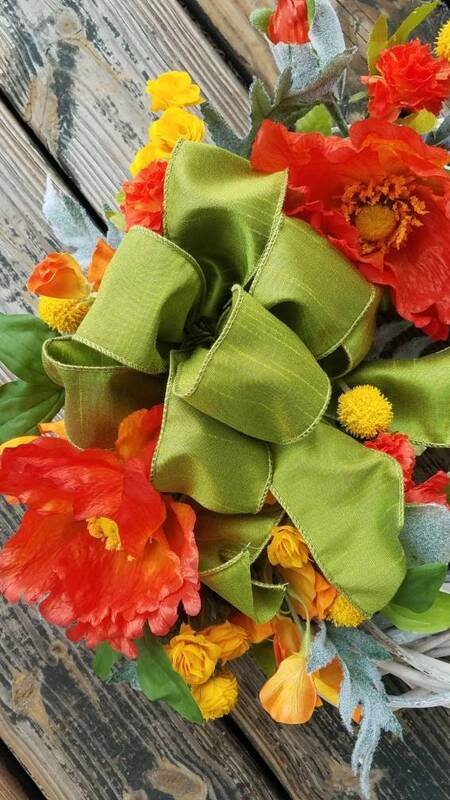 Orange sweat peas and marigolds with splashes of yellow billy buttons surround the poppies. 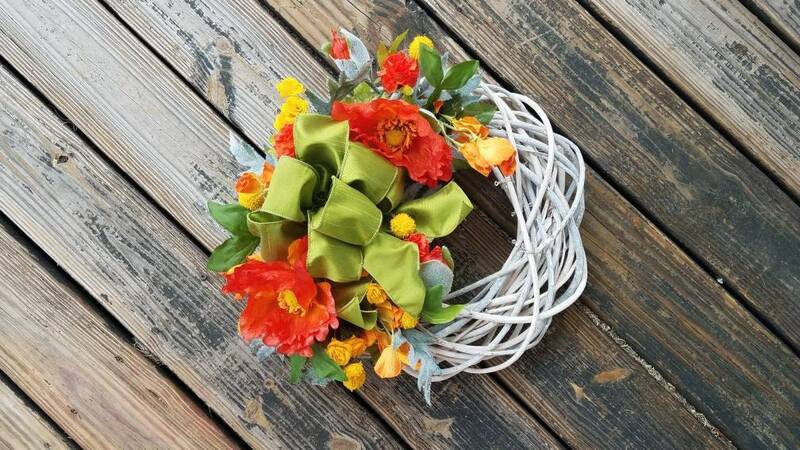 A green bow finishes the wreath.